This means the user walks using minimum variation with the natural walking pattern and uses less energy while walking. 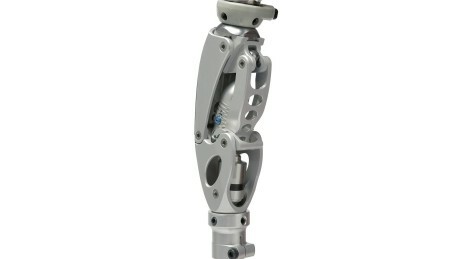 The 3R60 is a polycentric knee joint. 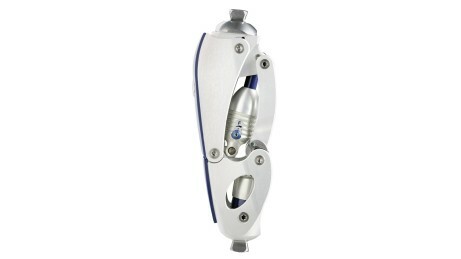 An intelligent miniature hydraulic system controls the pendulum movement of the lower prosthetic limb during the swing phase. This means that flexion and extension of the knee joint are dampened by corresponding movement resistance provided by the miniature hydraulics. 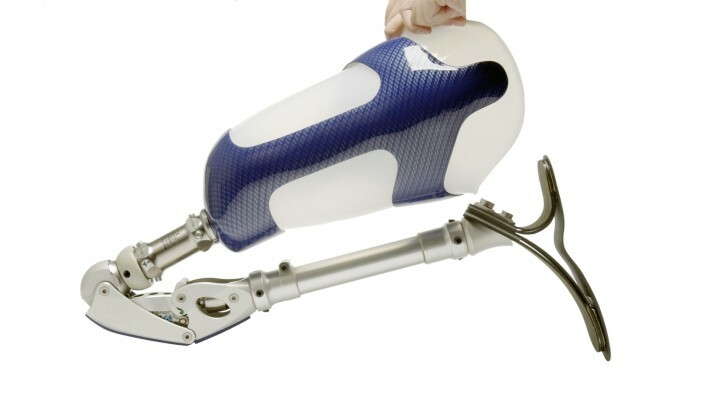 The dampening characteristics of the hydraulics were precisely adapted to the needs of artificial limb users with a moderate activity level. In the stance phase, when the prosthesis bears the body weight while walking, what is known as the EBS unit of the 3R60 controls the flexion movement beginning at heel strike and the subsequent extension movement. This harmoniously dampened movement pattern in the stance phase is based on the natural model. The benefits include a more physiological gait pattern and a shock absorption effect when stepping down with the prosthesis, reducing the forces acting on the residual limb, pelvis and spine. Safety in the stance phase is also improved by preventing the unintentional, sudden buckling of the knee joint. 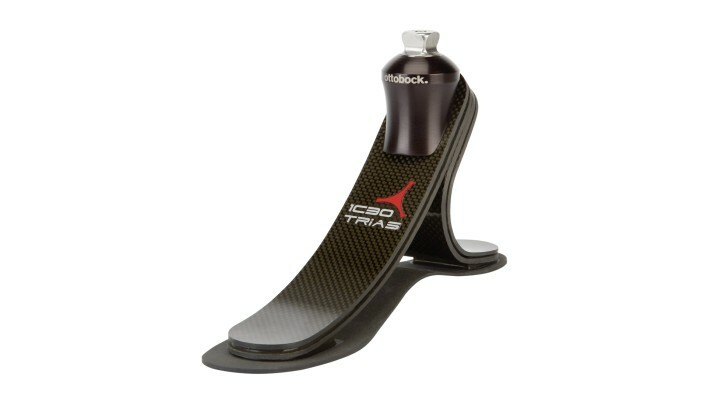 This limited stance phase flexion allows the user to also walk down slopes up to approx. 10° step-over-step. Thanks to the multiaxial joint design of the 3R60 EBS, the artificial limb effectively shortens during the swing phase, reducing the risk of stumbling for the user. Thanks to the multi-axial joint design, the artificial limb shortens during swing-through – effectively reducing the risk of tripping. Comfortable walking with high safety, even on rough terrain and on slopes of up to 10°. The impact at heel strike is gently dampened, followed by a physiological rollover. The energy stored in the system at heel strike is released again at toe-off. Safe, controlled, energy-saving movement patterns boost the user's confidence in the artificial limb. 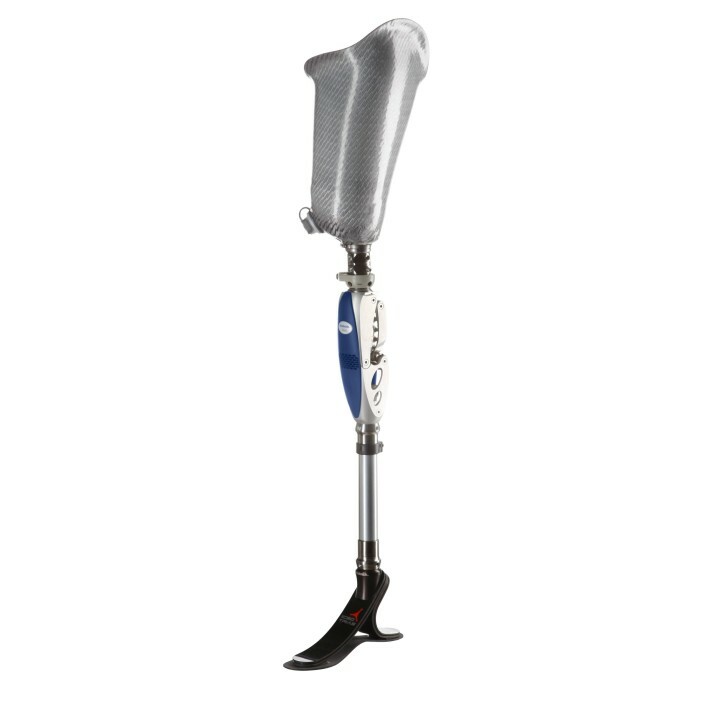 The foot adapts to different walking speeds and uneven ground without loss of comfort while simultaneously reducing the load on the sound limb. 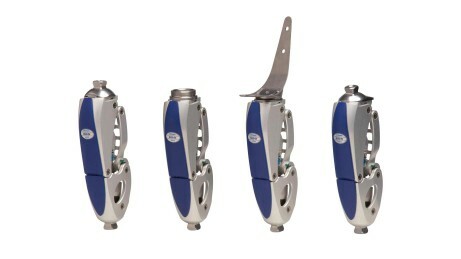 What amputation levels can be fitted with a 3R60 knee joint? The 3R60 is very versatile in application. Fittings for nearly all amputation levels from knee disarticulation, above knee, hip disarticulation and hemipelvectomy are possible. What are the benefits of the 3R60? The 3R60 gives you great freedom of movement. It is possible to walk on slight inclines and uneven surfaces; thanks to the extremely large flexion angle, you can bend your leg very far and the risk of tripping and falling is reduced with the 3R60. You walk more naturally with the prosthetic knee joint; the swing phase, which you can initiate with little force, is harmonious. Can I walk down stairs step-over-step with the 3R60? No, the 3R60 is not suitable for users who are physically able to go down stairs step-over-step. However, limited stance phase flexion under load makes it possible to walk down slight inclines up to 10° step-over-step.